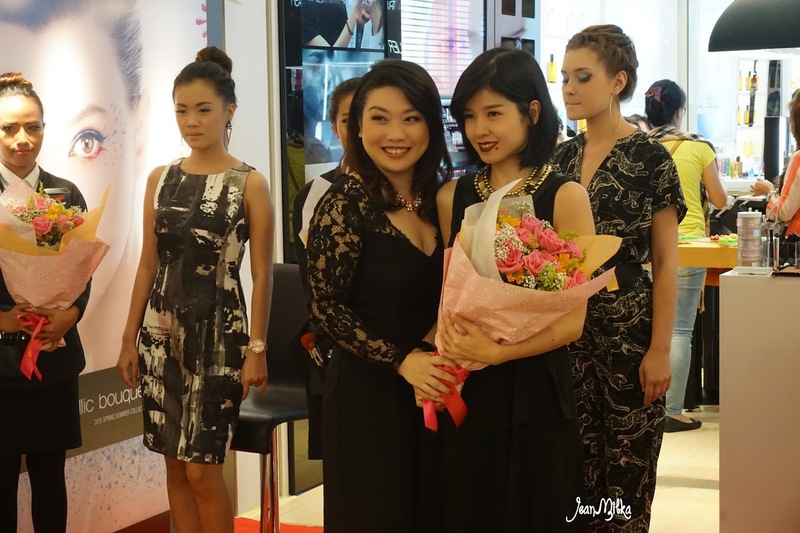 Today event is quite unique compare to any other beauty event I attended before. You can see there are 3 cute cosplay girls and also a DJ girl that dress in Japanese Gyaru style. From what I heard, Shu Uemura is going to change their product image based on young, active, energetic Japaneses girls lifestyle. 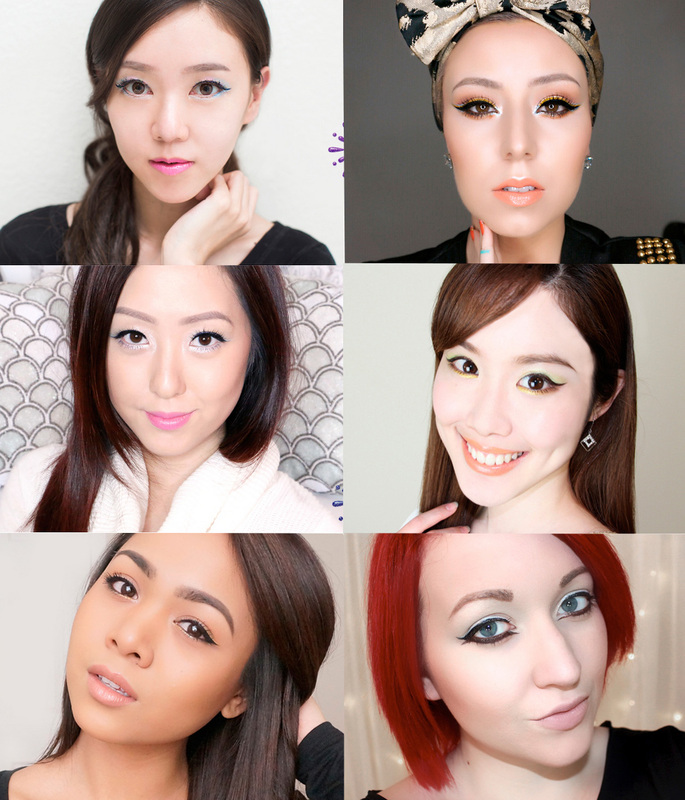 That's why from now on you will see more colorful, brave color on their makeup collection. One of the latest collection or Spring 2015 is Metallic Bouquet. 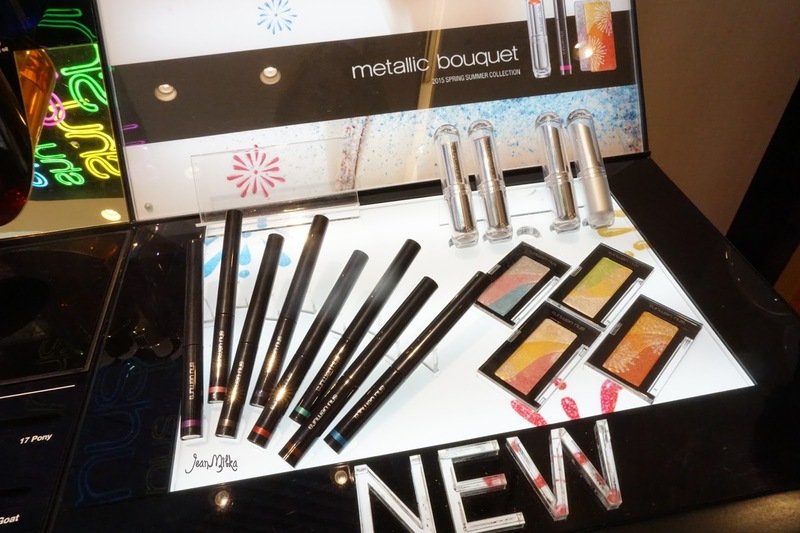 They have 10 colorful liquid liner named Metal : Ink, 5 new limited edition color of Rouge Unlimited Supreme Shine, 4 new Metalic Bouquet Pressed Eyeshaodw, and of course a new unique false lashes design. 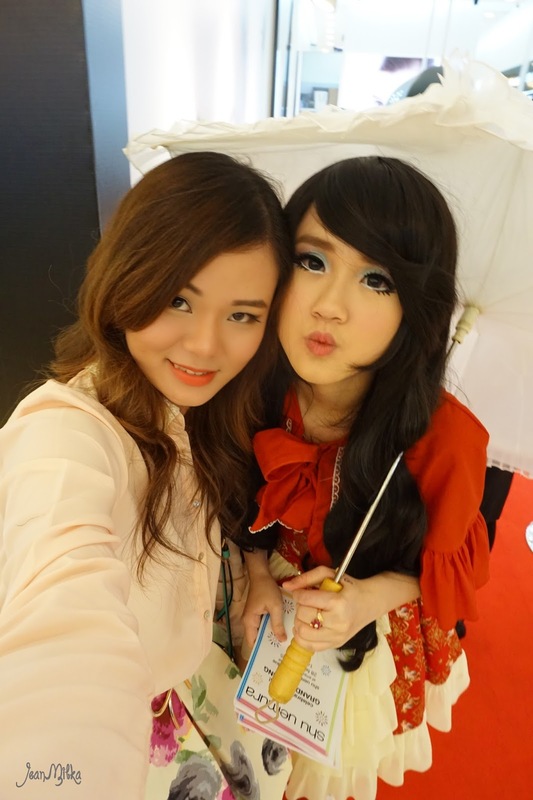 I always love their creative false lashes that comes with special collections. It's always unique and fun to play around. 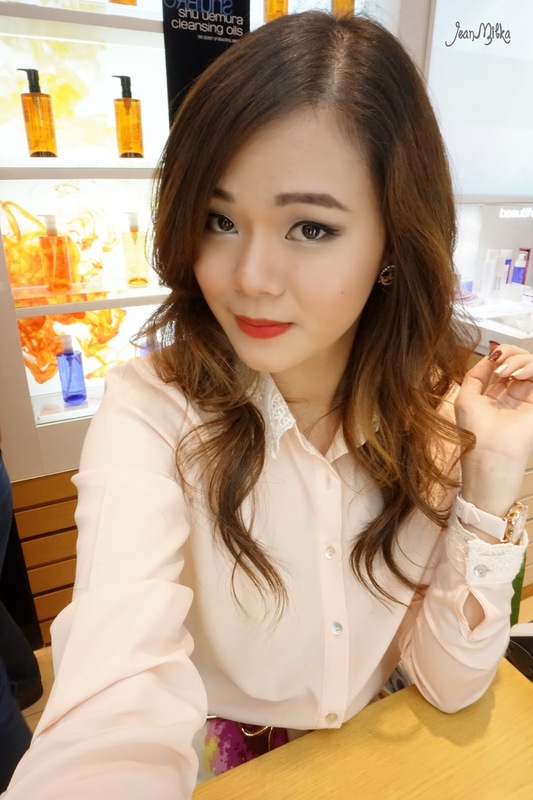 The newest product that really caught my eyes is Shu Uemura Metal:Ink Liquid eyeliner. Metal:ink takes inspiration from what the Japanese call Hanabi, a festival in Japan where fireworks spring to life as flowers do, hence the title of metallic bouquet. Metal:Ink available in 10 vivid color. 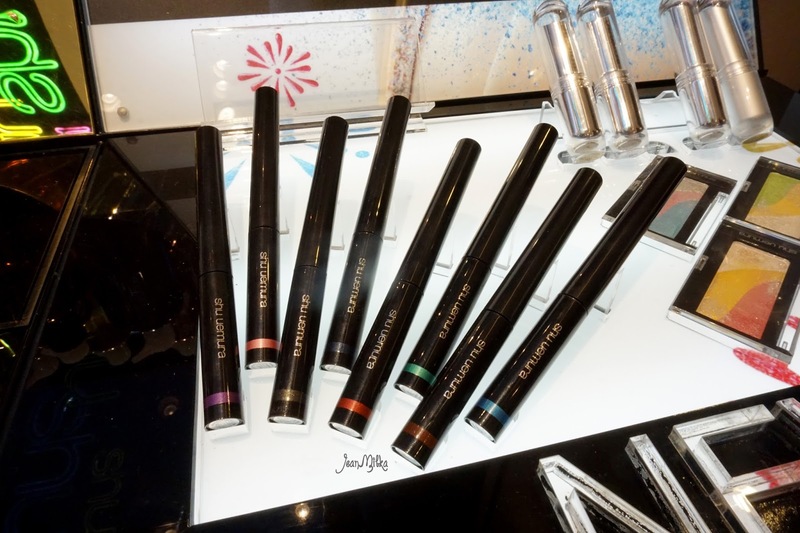 You can find 8 of the color at Shu Uemura Counter for 420.000 IDR. The 2 other color which is silver and gold aren't available at Shu Uemura Indonesia counter yet. I am so lucky to get the silver one and I actually like it more than I think I would. I tend to go with natural shadows with black or brown eyeliner. Silver eyeliner is out of my comfort zone. The next day after I got the Metal:Ink, I give it a try by included it with my normal natural makeup looks routine. As you can see from the picture above, the silver liner makes my eyes pop out. I feel like my eyes looks brighter than it usually did. I apply Metal:Ink in silver on the upper liner and add thin stroke of black liner after that. Also on my waterliner to give it a puppy eyes effect. It does waterproof and last for the whole day. I usually using champagne eye shadows on my waterliner and it fades during the day, but with this liner it does last for the whole day. 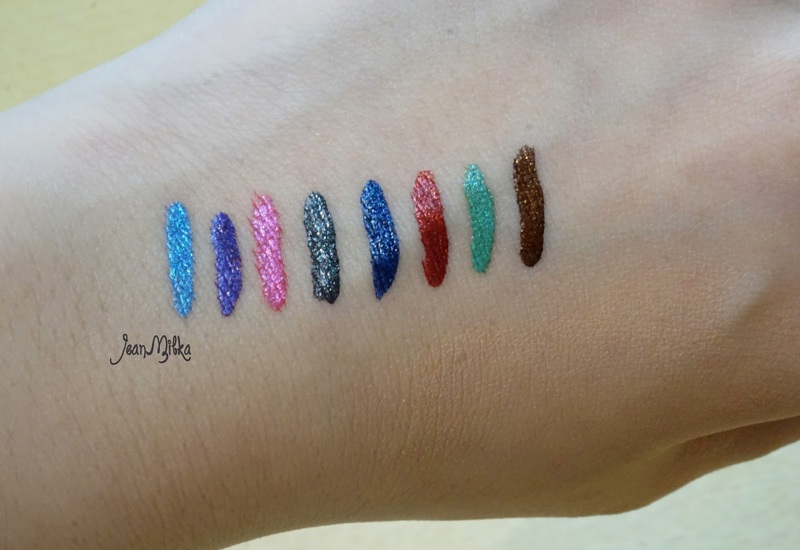 Here are swatches of the 8 Metal:Ink color that you can already get from Shu Uemura counter. The color is metallic just like the name and also vibrant. I don't think all color is wearable for everyone. For me I want to have some more color like blue, purple, green, and gold for playful eye looks. 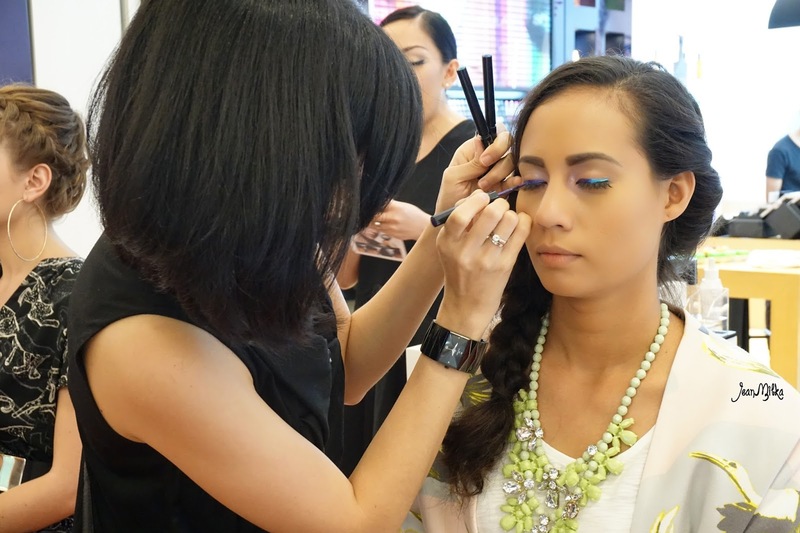 You can check here for more looks using Shu Uemura Metallic Bouquet collection that created by some of my favorites beauty blogger. This collection is really fun to play with. Back to the event... 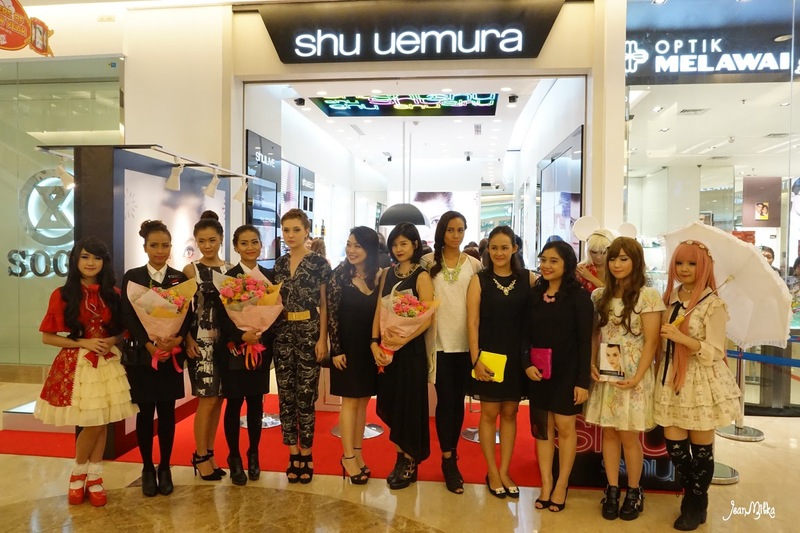 The opening of Shu Uemura very fist boutique also enlivened with makeup demo by Shu Uemura team and makeup artist. There are 3 makeup theme which are natural look, glam look, and vibrant look using the new Metallic Bouquet Collection *I actually forget the term they used for the last look*. During the event, I was trying Shu Uemura Tint in Gelato lipstick in AT 01 that immediately took my heart *like I already mention at the beginning*. I am in the hunt for a long last, matte finish red lips at this moment. Since I got special 20% off for any Shu Uemura product that day, I decided to take this beautiful red "gelato" to join my red lipstick collection. 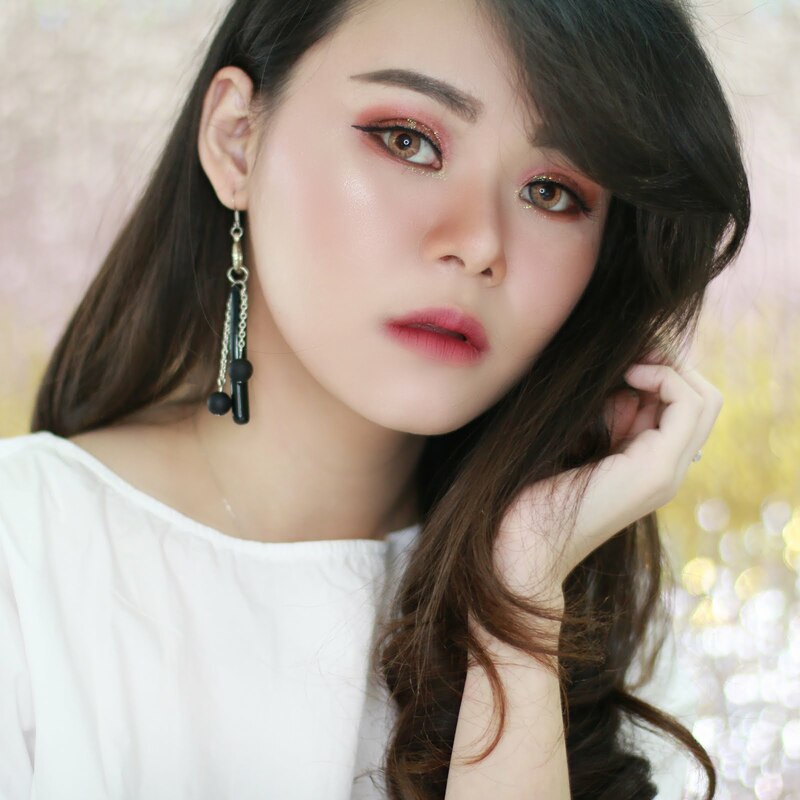 One thing I love about this red color is that it has coral undertone that make my lips looks bold but still wearable for everyday, especially if I only applied it on the center of my lips. Let me trying it couple times more and hope I will able to blog about it soon. If you have any other red lipstick recommendation, please let me know by comment down bellow.. I would love to hear your favorite red lipstick.